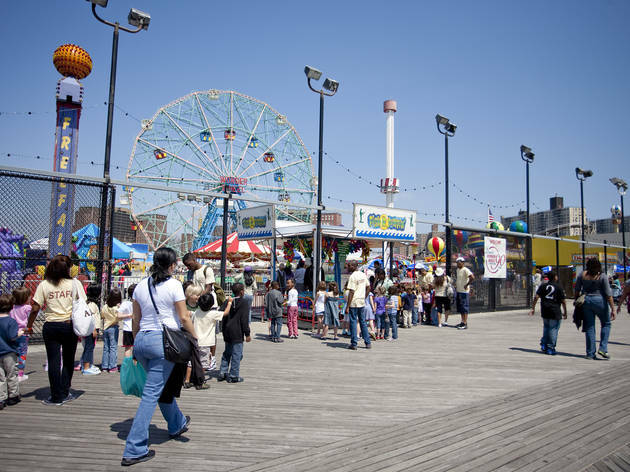 I don't know why people hate on Coney Island it is genuinely so fun. 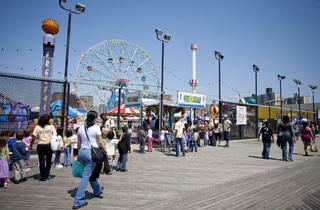 The beach is hilarious, the boardwalk is wild, the amusement park is so fun. Bring cash since ATMs are sort of scarce and some vendors don't accept credit cards. 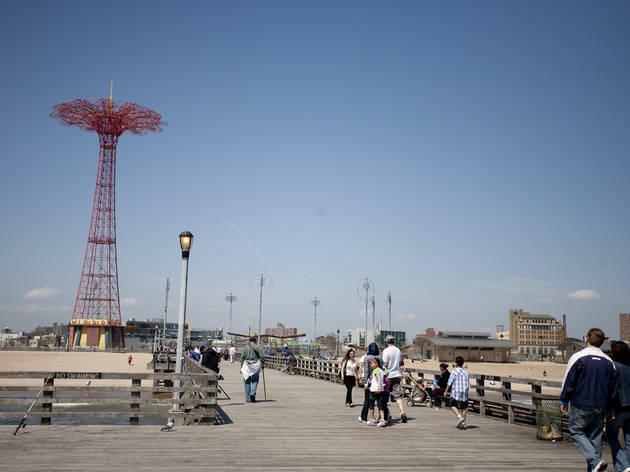 With almost three miles of sandy beaches, the Coney Island Boardwalk is the perfect summer destination for a day out or New York staycation. 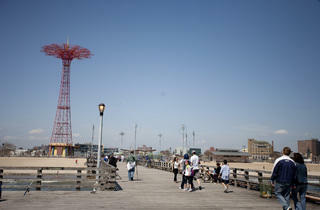 There is fun for the whole family with beach volleyball, handball, basketball and the famous Luna Park amusement rides. 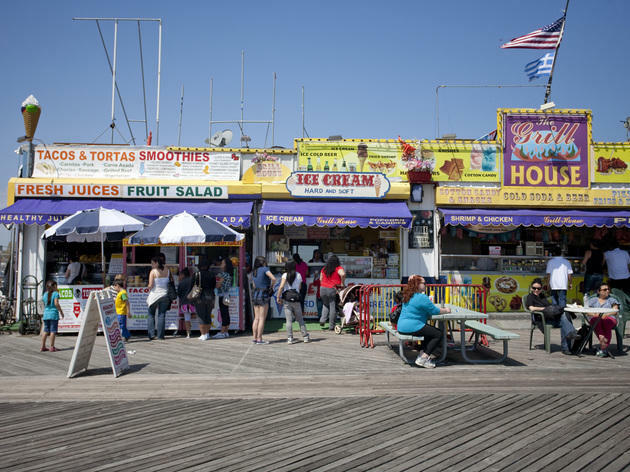 There are many attractions in the area during the summer season including the fabulous Mermaid Parade and awe inspiring annual Nathan’s Hotdog Eating Contest on July 4th. 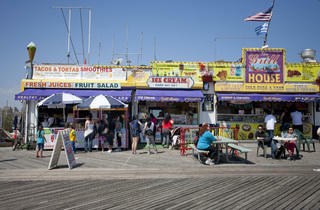 Besides all the fun activities, there is tons of food to choose from on the Coney Island Boardwalk. Even if you can't make it there in the summer, the amusement parks are open through October. This beach is really convenient to get to from the city, but it does get a little weird! If you're just going for some summer sun, you'll want to leave by early evening, before it starts getting really weird!